Dr. Puffer is a global mental health researcher and a licensed clinical psychologist. Her research focuses on developing and evaluating integrated community-based interventions to promote child mental health, improve family functioning, and prevent HIV risk behavior. 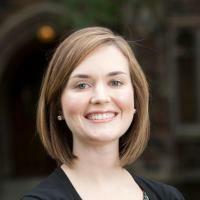 Her work includes studies with families with young children through those with adolescents, as well as with couples. She has conducted much of this work in rural Kenya and is an investigator on multiple studies of child mental health, family well-being, and parenting interventions in Thailand, Ethiopia, Liberia, South Sudan, and Iraq. Among Dr. Puffer's primary collaborators are the International Rescue Committee, a humanitarian organization, the Women's Institute for Secondary Education and Research in Kenya, and AMPATH, a consortium between North American medical schools and Moi University in Kenya.